ACCORDING to a recent study conducted by London based Royal Botanic Gardens in Kew claims that fungi are capable of expediting the breakdown of plastics. The aspergillus tubingensis fungus was featured in the State of the World’s Fungi 2018 report, which also documented that fungi are optimal in producing sustainable building materials and are capable of removing pollutants from soil and wastewater. Whereas plastic generally takes years to degrade, the mushroom, first discovered growing in a Pakistani dump in 2017, could make it possible to break down the pollutants in weeks. According to the scientists, the mushroom has the ability to grow directly on the surface of plastics, where it breaks down the chemical bonds between the plastic molecules. Armed with a unique enzyme that is secreted by the sprout, aspergillus tubingensis is one of the most interesting fungi featured in the team’s research paper. 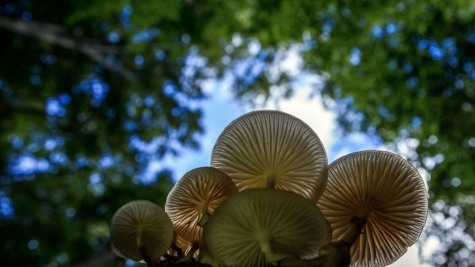 It is also confirmed that white rot varieties of fungus-like pleurotus stratus and versicolor have a beneficial effect on soil and wastewater, removing pesticides, dyes and explosive remnants. The trichoderma species has been identified as a stimulant for producing biofuels through its conversion of agricultural waste into ethanol sugars. Fungal mycelium is also notable, especially for designers and architects interested in finding sustainable replacements for polystyrene foam, leather and several building materials.